Hassanal al Bolkiah, the Sultan of Brunei, gives a photo-op. It is doubtful that he had anything to do with the downfall of S. P. Chung and the incarceration of Hin Chew, as he had bigger fish to fry. Now Brunei's Speaker of Parliament, was Special Advisor to the Sultan. Who would have thought that, in time, S. P. would suspect his good friend, Pehin Isa, of betraying him with a “set-up,” as Hin Chew would later put it. 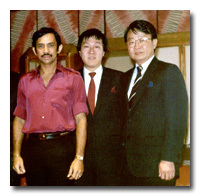 October 22, 1984, was the day that May Chu's husband, Hin Chew, flew from Singapore on his fateful trip to Brunei. May Chu was not to see him again for a year. 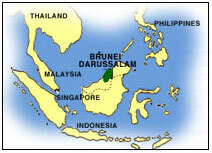 He had been detained by the Brunei police. At the same time, May Chu's father-in-law, S. P. Chung, and his wife, Lillian, also disappeared from Singapore. 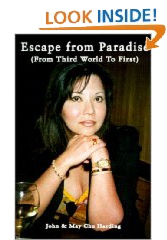 The Chung family was on the run, and May Chu and her two young sons were left on their own in Singapore. In Singapore, I had no choice but to keep a very low profile, not for any covert reason, I wasn’t under investigation, but out of embarrassment. S. P and Lillian, already in hiding, were scheduled to make their getaway to America. Suddenly information was received that Hin Chew's life was in danger. On November, 17th, at an undisclosed location, the Chung family met to discuss the matter. In the minutes of the meeting, the Chungs used such code names as "The Man," for S. P., "Mrs. Man," for Lillian, and "Carl" for Hin Chew. This final meeting, a crucial and emotional event, took place on November 17, 1984 at 8:30 in the morning. Present were “The man, Philip, Kevin and Mrs. Man,” S. P., Peter, Goh Boon Kok, and Lillian. 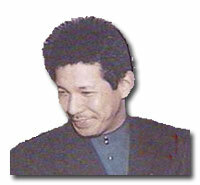 Goh Boon Kok was the only person, outside of the family, who would be allowed to know of the threat to Hin Chew’s life. 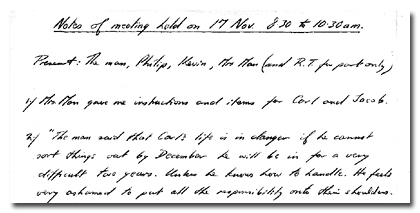 “The man said that Carl’s life is in danger if he cannot sort things out by December he will be in for a difficult two years.” Hin Chew’s life in danger? Why? For bribery? It didn’t make sense. There had to be more than bribery involved. While in Brunei, May Chu had the opportunity to be received by the Sultan. At that time, her Royal Highness Mariam, second wife of the Sultan was still a flght attendant on Royal Brunei Airlines. 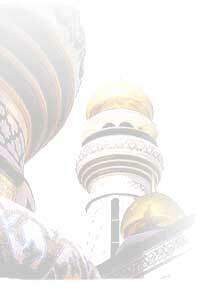 May Chu, who met her on several Singapore flights, observed the Mariam was very attractive and pleasant. In February 2003, the Sultan announced his divorce from Miriam. We bundled into the Mercedes, Parents, Jim, Lynn, Hin Chew, and I, and headed off to Bandar Seri Begawan, home of the Sultan, no wandering amongst the pigs, chickens, ducks, and cabbage on this trip! The Sultan, Hassanal Bolkiah, had not yet built his new palace. He was still in the process of tooling up, and things were a bit simpler in those days. S. P., Hin Chew and Jim wore suits; we womenfolk were very conservatively dressed from knee to neck, with arms fully covered. Any show of skin would certainly offend His Majesty’s sensibilities. Naturally, we weren’t the only visitors to the Royal Palace, but we were among the few who would receive the honor of shaking hands with the richest man on earth. Once in the palace, we took our place in a short line in a corridor. I could see the Sultan standing, dressed traditionally in the national dress, the baju melayu, with a black velvet cap or songkok, on his head. He was flanked on either side by three or four men, similarly dressed. It was all quite informal and relaxed. Further down the corridor, was a large room where the ladies were allowed to pay their respects to the Sultan’s jewel-encrusted wife; he had only one then, the Raja Isteri, along with her ladies in waiting. I saw as dazzling a display of jewelry as could be imagined! No men allowed. I was not to see His Majesty again, as this was the last year that women would be permitted to attend the affair. Sultan Hassanal Bolkiah, was in the book, and he didn't object. "We were led into a very large living room, furnished lavishly with two rows of chairs on opposing walls, in the style of an Arab majlis. Tea was served as we sat down. Only Pehin Isa and S. P. spoke, their words echoing through the room. Their conversation was very friendly and relaxed, consisting of polite small talk and inquiries into the well being of each other’s families. This took some time, as both Pehin Isa and the very respectful S. P. had large families. The initial pleasantries over, Lillian and Datin Rosna remained behind, as Pehin Isa took the rest of us upstairs to show off his prize three-foot long golden koi fish with long whiskers. With great deference, a manservant handed Pehin Isa a glass jar containing live cockroaches for the koi. Pehin Isa carefully unscrewed the lid, and gingerly picked out a cockroach, which he dropped into the tank. The happy koi immediately gobbled it up." "As Hin Chew and Michael Yap were ushered into the Prince's office, Hin Chew was awed by the Prince,s huge TV screen. Behind a large desk sat Prince Jefri, a young man with rugged good looks, and about Hin Chew's age. Notwithstanding his power, or perhaps because of it, Prince Jefri was very affable and friendly to his two guests. Prince Jefri had been briefed on S. P.'s proposal. He began with questions concerning bumiputras giving business to bumiputra companies, the bumiputras being the local Malays. The Prince, himself, was a bumiputra. Hin Chew replied vacuously that business was indeed being given to bumiputras. The prince nodded, and smiling, eased back into his large leather chair, a signal for Hin Chew to put forward his proposal..."